From acclaimed director Jacques Audiard (Rust and Bone, A Prophet), and based on the novel by Patrick deWitt, THE SISTERS BROTHERS is a reimagining of the cinematic Western as a dangerous, witty, and emotionally cathartic exploration of what it means to be a man. It is 1851, and Charlie and Eli Sisters (Joaquin Phoenix and John C. Reilly) are both brothers and assassins, boys grown to men in a savage and hostile world. They have blood on their hands: that of criminals, that of innocents...and they know no state of existence other than being gunmen. The older of the two, introspective Eli (Reilly) rides hard with his younger sibling yet dares to dream of a normal life. The younger of the two, hard-drinking Charlie (Phoenix) has taken charge with gusto as lead man on the duo's assignments. Each increasingly questions, and quibbles with, the other's methods. 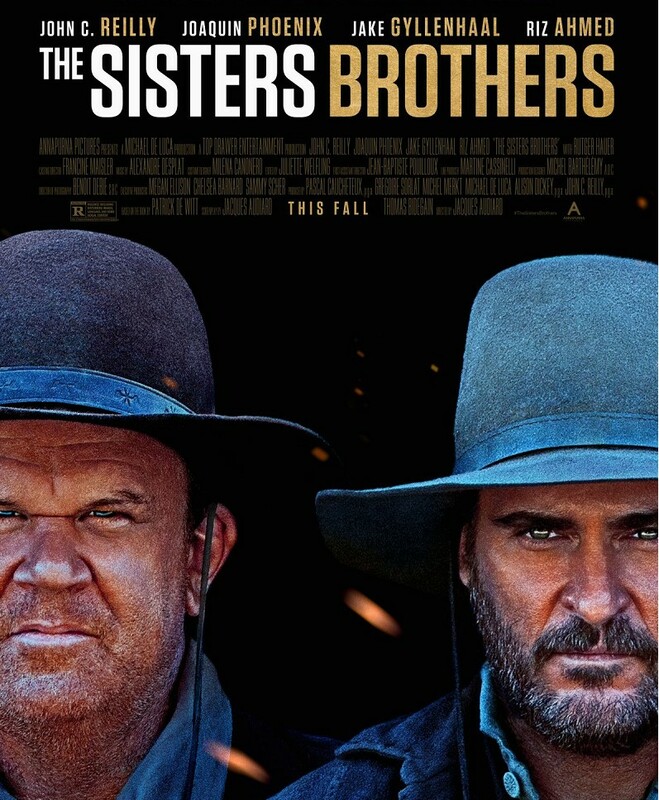 The Sisters brothers find themselves on a journey through the Northwest, bringing them to the mountains of Oregon, a dangerous brothel in the small town of Mayfield, and eventually, the Gold Rush land of California - a journey that will test the deadly family ties that bind. But, can it also be the path to rediscovering what remains of their humanity? THE SISTERS BROTHERS also stars Jake Gyllenhaal as learned scout John Morris and Riz Ahmed as fugitive chemist Hermann Kermit Warm.